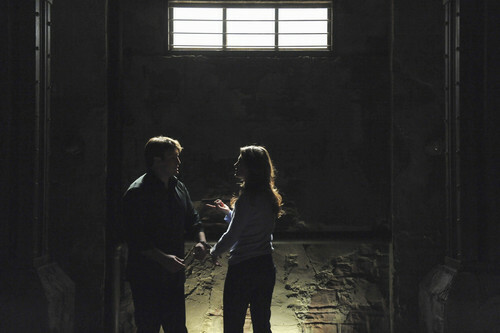 4x10 - Cuffed - Episode Stills. When 城 and Beckett wake up in bed, handcuffed together, in a locked room with no memory of how they got there, they must piece together the mystery of where they are and why, all while trying to escape.. HD Wallpaper and background images in the 城 & Beckett club tagged: cuffed promo pics season 4 castle kate beckett richard castle caskett nathan fillion stana katic. 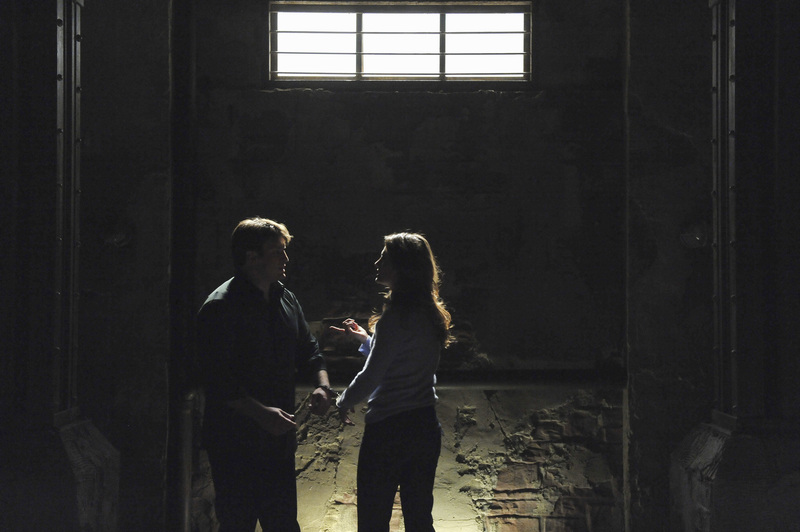 This 城 & Beckett photo contains 刑事施設, 刑事, セル, 独房, 刑務所の独房, 細胞, 刑務所細胞, 電池は, 通り, 都市現場, 都市環境, ストリート, 都市, 都市設定, and 都市のシーン設定. There might also be スーツ, ビジネス スーツ, and portcullis.